Buy Your Refurbished Device Here! Once the order gets to £1000 it’s capped at £150 off. 10% OFF all online orders at tech.trade! Another great money saving discount code! Shop online and save today! 10% OFF all Macbooks at tech.trade! Just enter the money saving voucher code at the checkout! Macbooks only. Cannot be used in conjunction with any other offer. 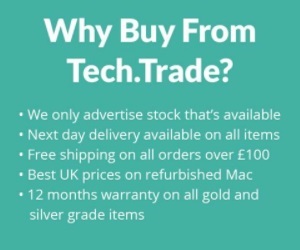 FREE delivery on all items over £100 at tech.trade! Saving money just got easier! Shop online and save today! 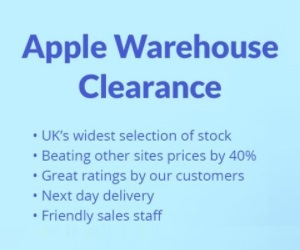 SPECIAL offers on the latest Apple items at tech.trade! Even more money saving offers! Shop online and save today! 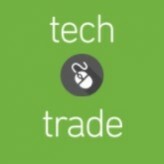 Receive the latest codes & offers in the newsletter at tech.trade! Even more money saving offers! Sign up online and save today!